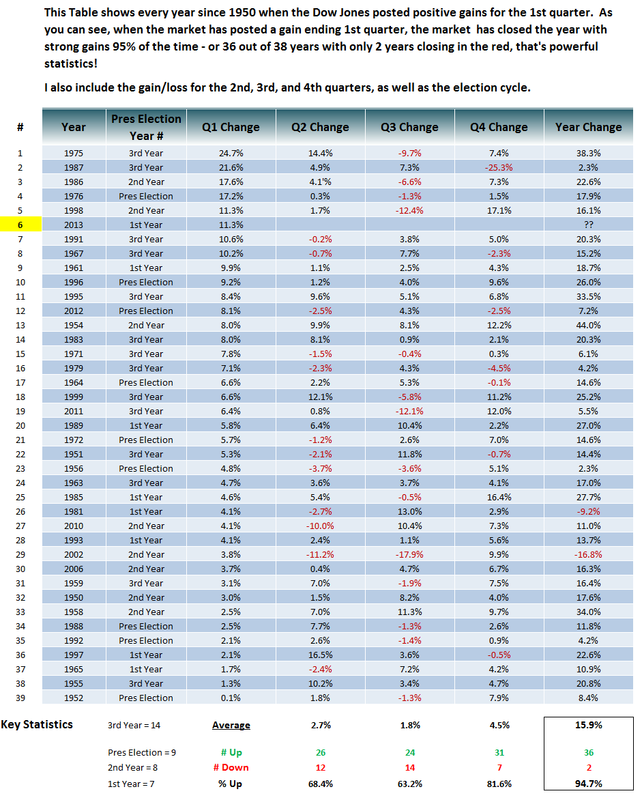 I've updated the table for the 1st quarter market statistics: This table shows every year since 1950 where the Dow Jones posted positive gains by the end of the 1st quarter; the table is sorted from highest to lowest Q1 change. 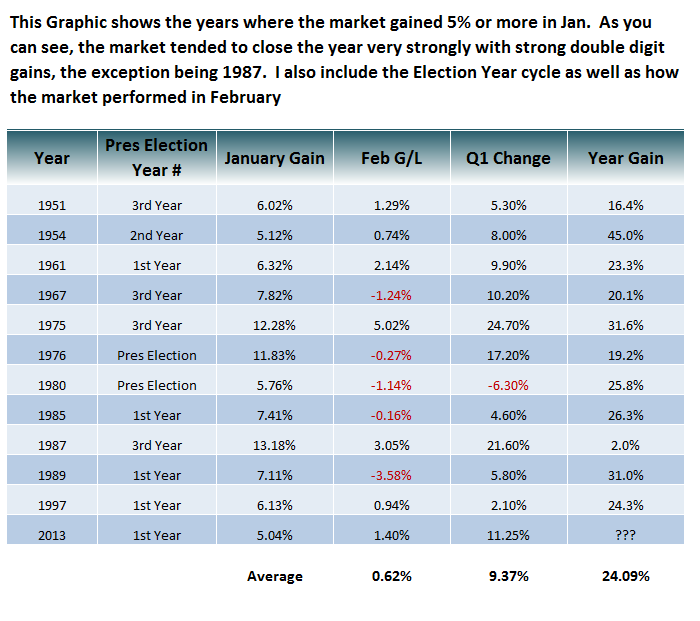 For additional information I also included the gain/loss for all the quarters, and also include the presidential cycle. 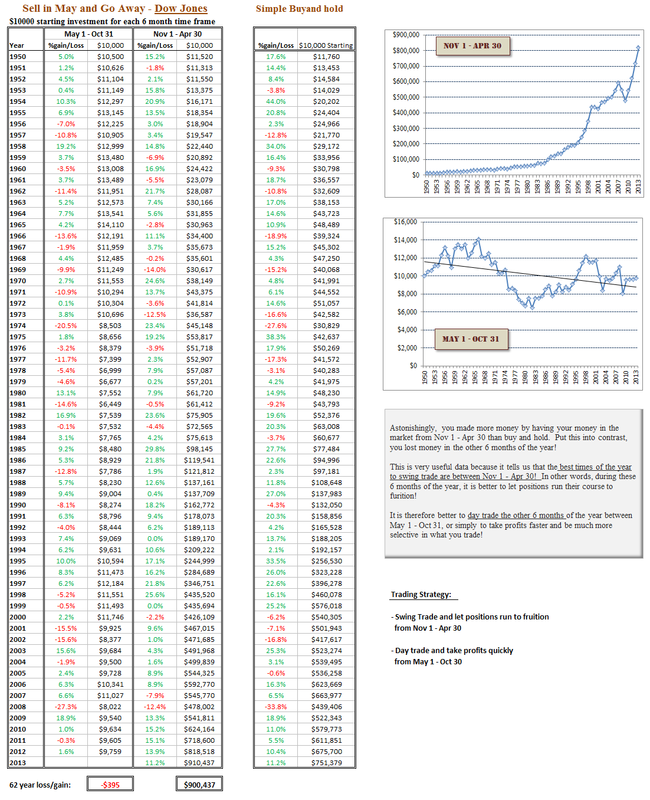 As you can see, 36 out of 38 years (95%) the market has closed out the year with strong gains, with only 2 exceptions (1981 and 2002), even 1987 still managed a 2.3% gain for year despite the large 1987 crash! To put this into context, if the 1987 crash hadn't occurred the Dow would have gained about 20% for the year. The second chart shows the statistics for the year after a strong January gain of 5% or greater. Therefore I think the odds favor that 2013 will close out the year end with strong gains despite what the ultra bears think. However I don't expect it to be all steady eddy. 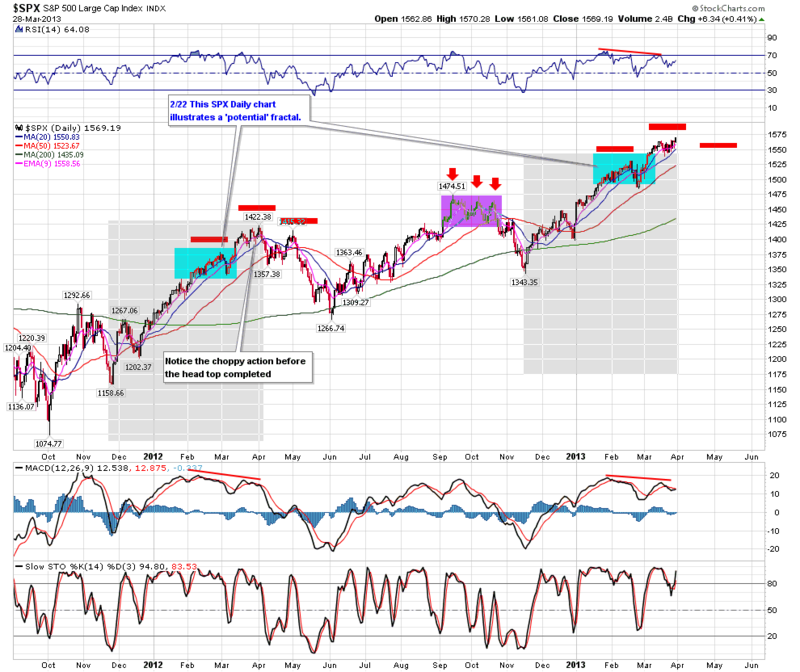 I think that we are going to experience another sell in May or late April event just like we did last year and recent years as the Sell in May and Go Away Statistics play out once again. The 3rd table shows our Sell in May and go Away Statistics. Currently it appears the that S&P 500 is attempting to form a H&S top just like it did last year, here's our fractal chart - currently working on the head (chart 4). 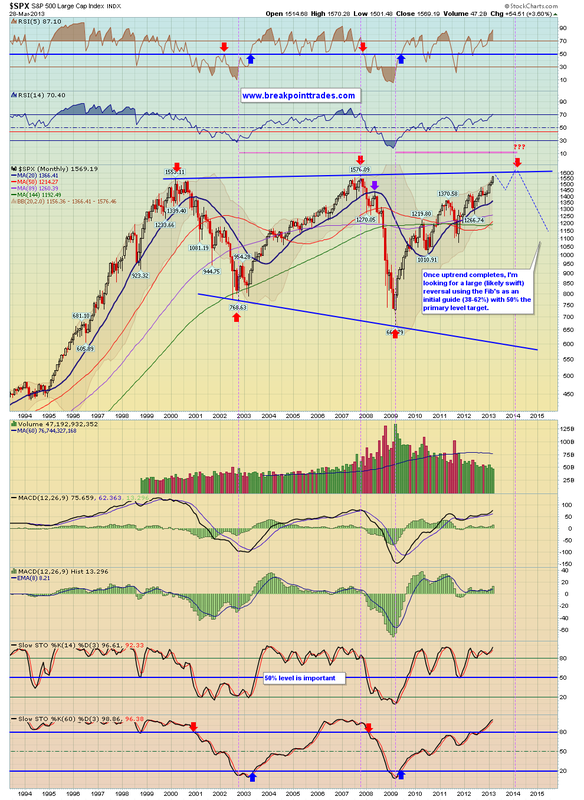 We are also very close to all time highs on the S&P 500 and the Wilshire 5000 is nearing it's upper 13 year trendline (chart 5). However in the short term once the head of this H&S completes I would expect an initial sell off and then another bounce to form a lower high in April.